Summer, the prime season for inspections and reroofing projects, is here. 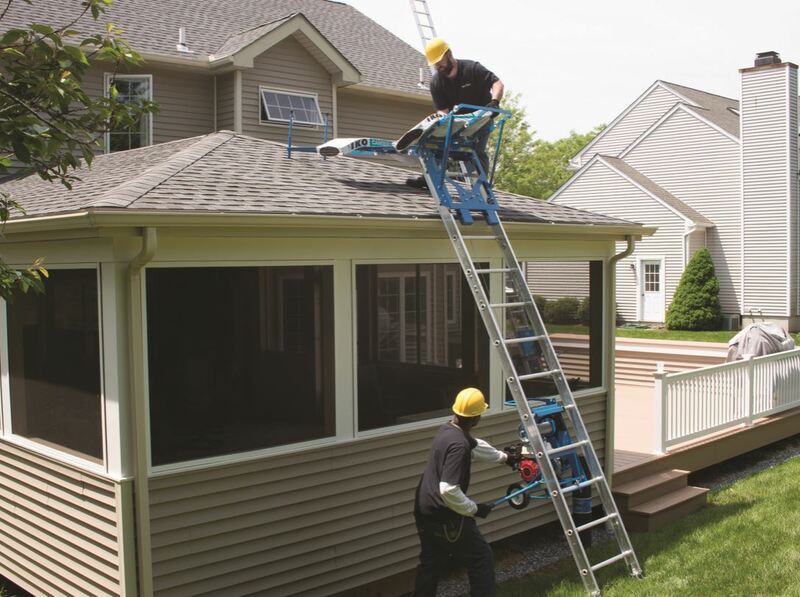 Before dropping the phone to drag out the ladders and survey the scene for broken flashing and missing shingles, here are five important summer safety rules every roofing contractor needs to respect before venturing out into the summer sun. 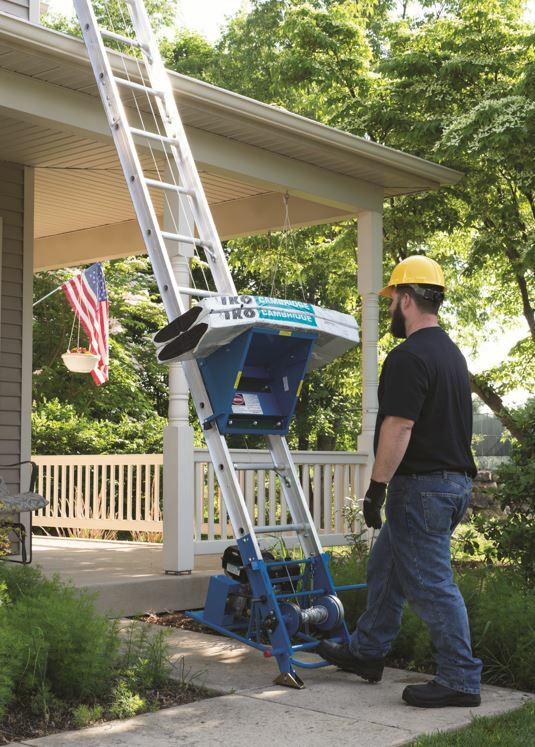 Before dropping the phone to drag out the ladders and survey the scene for broken flashing and missing shingles, there are important summer safety rules every roofing contractor needs to respect. No one can control the weather, know how hot the day is going to get or predict with 100 percent accuracy when it will start to rain in the afternoon. However, contractors can control their day by getting an early morning start to avoid as much of the sun’s summer rays and afternoon rain as possible. Getting the bulk of the work done before the hottest point of the day is Roofing 101—and the key to surviving in summer heat. As reported by The New York Times, “Last year (2014) was the hottest on earth since record-keeping began.” The trend is continuing, with the warmest winter since 1880, according to the National Climatic Data Center. What does this mean for the summer of 2015? It probably means that a meteorology degree won’t be needed to predict the long heat wave that is undoubtedly in the forecast for this summer. The best tip for surviving the extreme summer heat is staying hydrated. The human body is made up of 60 percent water, which is why the body is dependent on water to function. Water intake helps digest food, take nutrients and oxygen to all the cells of the body, and lubricate joints while cushioning organs. Standing on the roof, directly in the path of the sun’s ultraviolet rays, causes the body to sweat. And while sweating regulates body temperature, excessive sweating without replenishment can lead to dehydration, fainting and many other serious ailments. Drinking plenty of fluids before, during and after every roofing project should be the plan of action for all contractors working in the heat. Standing on top of a roof, there is usually no shade to protect a roofer from the sun’s rays. Taking an ample amount of breaks in the shade, or air conditioning if available, while working through the hot sun is an important part in staying hydrated throughout the day. Appropriate clothes are the body’s first line of defense against the sun. Shirts designed to keep you cool, such Dri-Fit or ClimaCool, are a great way to beat the heat in the summer. These fabrics are breathable and wick moisture from the body. Don’t forget about the importance of a good pair of shoes. Finding shoes that have a great resistance to wear-and-tear and have a slip-resistant sole are two important features for roofing footwear attire. Finally, sunscreen is a roofer’s best short-term defense against burns and long-term safeguard when it comes to preventing skin cancer. To aid in a roofer’s fight against dehydration and other ailments caused by the sun, a layer of sunscreen should cover all body parts not shielded by clothing—it is the final piece to every roofer’s summer uniform. Rain is a huge hindrance for roofers. Slipping and falling is just one reason why sites like BankRate.com and BusinessInsider.com rank roofing as one of the most dangerous jobs in the U.S. So although the heat is dangerous, working in the rain is also very risky. Wet shingles are heavier to carry onto a roof, felt is more likely to bubble up or rip, and the dangers of tripping and falling are real. And while it may be tempting to try and save an hour or two, the risk is not worth the reward. Avoid all of these potential hazards and do not roof in the rain. Make the most of the summer weather, but don’t throw caution to the wind. Get an early start, stay hydrated, take plenty of breaks, dress appropriately and be careful in the rain. It’s every contractor’s guide to conquering summer.